Your voice matters to us and it will matter to the world, too. Give us your honest opinion please. While many companies are fearful of their customers reviews, we welcome them. They are quite valuable to us since they help shape our procedures and refine how we perform. We strive for excellence with every action and we work very hard for you, our clients. If we did not do something perfectly for you, please contact us and allow us the chance to correct it. Once the transaction is completed be tween us, we hope that you will take a few minutes to leave us your honest opinion of how we did. Since there is a lot of false reviews online by website operators simply writing fake five star reviews from non-existent people, we decided to combat this and bring truth to our review system by making it impossible for us to create, delete or alter any review left for us. We simply provide you, our customers, several options and leave it all in your hands. You are the only one that give us a review, and you are the only one that effect it once it is done. We believe this is only way a review can truly mean anything. Sounds like the right way to handle reviews, doesn't it? If you are ready, we are ready to hear your thoughts on our care of your shopping experience with us. We have four very different places for you pick from, or you can leave us more than one, but please do not copy the same review over and over. Each one should be unique and represent your actual experience as a customer. The Sleep Gallery's Facebook Page. Please click here to leave your review. The Sleep Gallery's Google Profile. Please click here to leave your review. 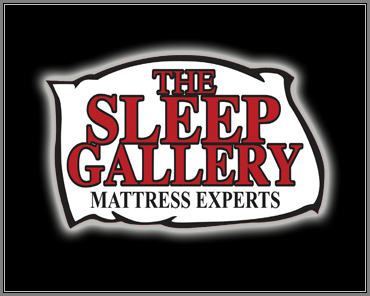 The Sleep Gallery's BBB Profile. Please click here to leave your review. The Sleep Gallery's Yelp Profile. Please click here to leave your review. While these are the main places to review us, there could be others online that you use already. If that is the case, please do use those services, too. We will leave it up to you and really appreciate you shopping with us and taking the additional time to review us. If you need anything, please do give us a call.